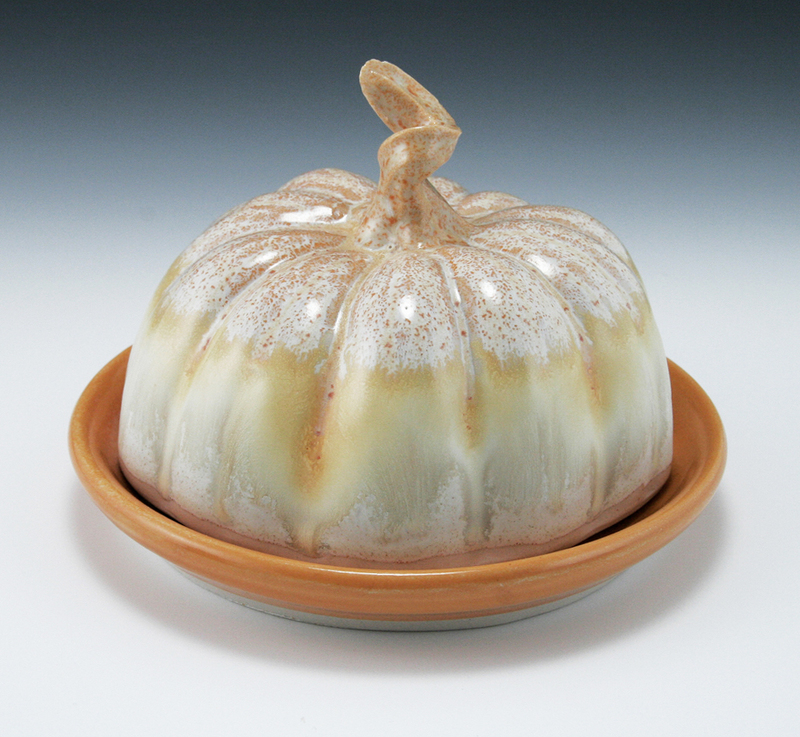 My new cheese bell – or butter dish – or both! The plate was thrown, and the lid was slip-cast from a mold I made from a squash. I found the recipe for the glaze in a studio reference guide a few years ago, generously submitted by Ken Delio whose work I adore. Love the stem, has so much character.